Manage Your Money Workshops in the Community! 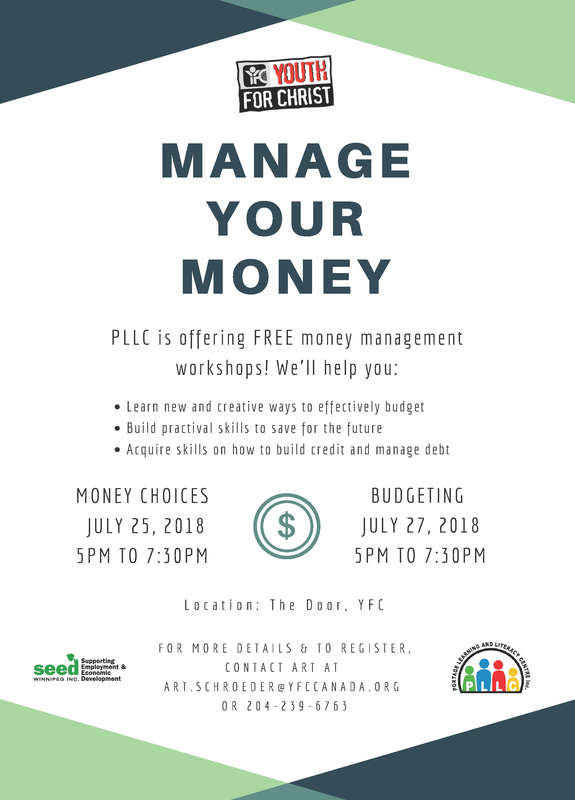 Everyone is encouraged to attend one or both of the two Manage Your Money workshops facilitated by PLLC staff and hosted at the YFC – the Door on July 25 and July 27 starting at 5pm each evening. Free snacks and beverages will be provided. For more information, please contact us at info@pllc.ca or call 204-857-6304.